The fact that I have taken a more minimalist approach with my clothing has given me more space to display my shoe collection. Now, over half of my closet is filled with shoes. My love for shoes inspired me to start focusing on things I love more than spending which is saving and giving. It feels so much better to give than to receive. That is what I love about blogging. I can share what experience and knowledge God has blessed me with in order to help others. It allows me to give without any expectations in return. There are so many people in need of the things I often value too lightly . Therefore, through prayer and actively seeking I have been blessed with opportunities to give. 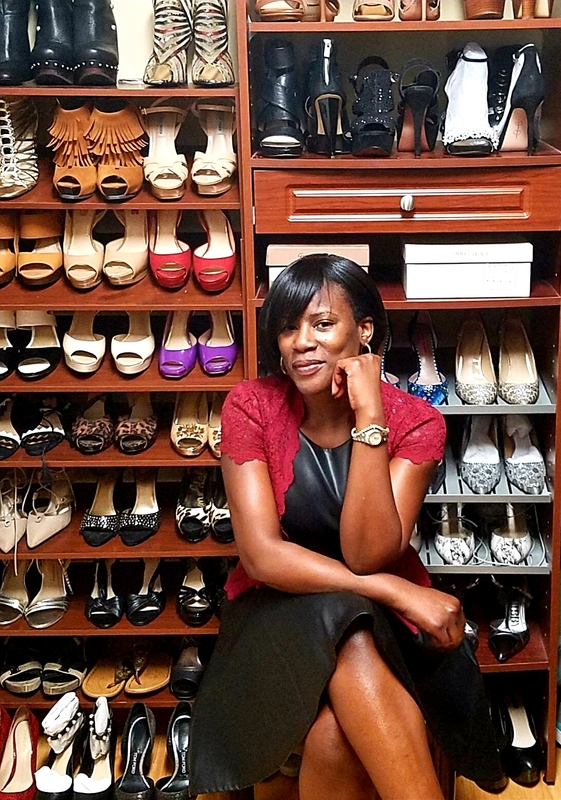 I am particularly excited about the program I connected with that provides children in school with shoes. Sadly lack of shoes are preventing children from learning but I am grateful that awareness is being created. God says to not only give but be a cheerful giver. Now that takes daily heart work ! As always thank you for reading and have a blessed week! Yes you have a wonderful collection of handbags Mica:) Thank you and happy new month! Absolutely stunning look. Love your shoe collection, Tifanny!